"I like helping in washing and pealing the vegetables"
Braintree Healthcare Ltd supports 6 service users to live in the community and to lead independent lives. 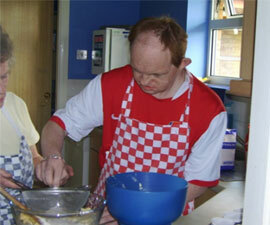 The Domiciliary care staff who support service users are user led and focus on meeting peoples' individual needs. Service users and their families are encouraged to have input into all elements of their care, and service users are supported to maintain relationships with friends & families.